We are in the process of printing business cards and are coming across a peculiar issue, was hoping the printing elite out there could shed some insight or experience with similar issues. We are experiencing a striping effect on the solid area (noticeably at the bottom). We tried with varying ink amounts and varying impressions, the attached image is the closest we got to perfect, and feel the amount of ink is appropriate. When looking at the plates (polymer) it appears there is some warping in the plates, which we feel could be the culprit? We are printing this on a windmill, attempted with the plate vertically and horizontally on the press, as well as using packing and to no avail. Any help or direction would be greatly appreciated. Much thanks. I was going to suggest roller problems, but if you get the same effect with both vertical and horizontal mounting of the plate, and the fault is still in the same position, then it must be the polymer plate at fault. I know that ugly rectangle all too well! It’s definitely not the plate. 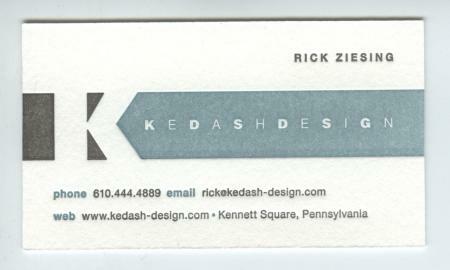 I use magnesium plates from Atlas Photoengraving in Philadelphia (they know their stuff), and it still happens with me. So you can rule out a bent plate as the culprit. I have a ‘74 Heidelberg manual that goes into this very problem on page 20. It suggests using the optional Rider Roller (it fits above the two forme rollers in that empty channel). I haven’t had much luck finding one of these, but itt’s possible Heidelberg could get you one. That’d probably do the trick right away. In lieu of that, the manual suggests using more transparent white ink than you normally would, but I imagine that would just mess up your color more than anything. 1. Coat the roller rails with a thin layer of beeswax. It gives the roller trucks more traction, in case there is any kind of a “bounce” when they encounter the solid. The manual actually suggests something like this— Powdered Rosin applied with dull cottonwool. 2. Speed the press up to full speed. This has much the same effect as the rider roller, I imagine, since the ink is much more vigorously distributed at this speed. The ghosting disappeared, but unfortunately, it also thinned the amount of ink that was distributed on the plate on each pass of the rollers. And considering that the press will print 500 business cards in about 5 minutes at full speed, I didn’t care for all of the paper it burned through. 3. Increase the roller pressure. The manual actually suggests the opposite, but this is what worked best for me. The trade-off is that you’re working with more ink on the plate than you probably want, so fine areas can get filled in, edges can get bleedy, and the ink could offset. 4. Adjust the ductor roller pressure in the ink train. Relieving some of the pressure before it gets to the drum seemed to have some effect in smoothing the ghosting. The problem was still there, but it was less noticeable. This could just be because less ink was getting to the rollers, though. What might work best for this job is to is rerun the plates and separate the text. It’s more work, but the text and the solid needs totally different accommodations to print properly. With the text isolated, you can hit the solid with more ink without creating a mess. Definitely use an oil-based ink, and possibly add a drying agent. Good luck! Hope I helped! I agree with madaudepress. The rider roller will help but you must print the text on a separate run since the ink coverage will be heavier for the solids. I use Powdered Rosin on my rails every time I print so the rollers don’t slide across the plate. The manual has an adjustment for the ductor roller so make sure it’s at the correct pressure. I had another thought about this, and I also thought it might be a good opportunity to give a “shout out” to my neighbors, Cabrun Ink Company. You may want to contact a good ink manufacturer with this dilemma. Cabrun set me up with some of their special letterpress blend, and the stuff is much more forgiving with fine text printing than out-of-the-can Van Son. Possibly they could work the same wonders with solids. Their number is 215-533-2990. …madmaude: we actually do have a rider roller on the press, so unfortunately that isnt the issue at hand. we have also tried adjusting roller pressure with no success. we have not tried coating the roller rails or speeding up the press so we will include that in our next attempt, thank you. …cmcgarr: will look into the ductor roller setting to see if it is where it needs to be. from the manual… “When ordering ink for such jobs (solids) the ink company should be advised that it is for a solid. Such an ink is rich in pigment and has not been stretched or cut with transparent white or other printing aids.” —— I am thinking that this could be the major culprit as the color we are printing (Gray) is mostly trans white. So the consistency of the ink may be the main issue at hand. Thanks for all of the help and suggestions, will be sure to let you know what type of results we get with the next attempt. You say you get this effect whether the plate is mounted horizontally or vertical. Does the striping, change from the bottom to the side, when you change the orientation of the plate? If so, it’s a roller problem. If not it’s a plate problem. If it’s a roller problem, you can gaurantee its the inking rollers, don’t talk about adjusting the roller pressure; inking rollers should be set using a type high gauge. This is the only way! A possible cause is that you are using rollers which are not exactly the same diameter as each other, or the same diameter as the plastic runners mounted on the ends. To check for this, get three rollers, place on a level surface, such as an imposing stone, get a steel straight edge and place it on edge on the rollers, changing the positions of the rollers should soon show any variation in the diameter. If you are using the rider roller this can also cause the problem if it is not set correctly. From experience I know it is far too easy to set this up wrongly. If all this fails then I think the problem lies with the ink. I’d like to know what stock you ae printing on. If it is art/glossy, are you using a “short” strength ink. Your image seems to have a mottle on it. Arts are tricky on platens as there can be a squelching effect as they pull off. Re the ghosting at the bottom of your image, are you running fixed grip or on lays You may be too close to the bottom of the rollers’ ink applying cycle. The suggestion of applying resin to the roller bearers is good, but cleanliness and dryness of the tracks is also very important. Make sure the roller shaft and the arms moving up and down ae clean and oils so there is no drag or resistance. Phone call coming in so gotta go Will come back. … Bern: in regards to adjusting the roller pressure, I meant to say, that we realigned the press using type high gauge to ensure it was set up properly. It was off a bit to start, but upon fixing it to the appropriate levels, still no luck. The striping occurred in the same place, whether it was vertically or horizontally, which leads me to believe it is in fact either a plate issue or an ink issue. …William: the plate is in fact at the bottom of the ink applying cycle, and we are dropping the paper into guides (brass). Also the paper is Crane Lettra. Hope to get a chance to try out these suggestions this afternoon. Will let everyone know if anything works out. Thanks again for helping a new letterpress printer! One last thing that has come up which may be the culprit. any insight would be helpful. We are currently using deep relief plates, which I have been told tend to curl/warp more when there is a solid on the plate. Could this be the issue causing all of our headaches? This card has most all the hard components to print on a letterpress platen press and can be quite challenging. A solid, screen, border, fairly small type and reverse type. Printing the heavy stuff separately on a run by itself may get the job out of the shop on time with acceptable results. If in addition to the difficult components, the customer has asked that you print this on a paper that has a surface quality of french toast, that also adds to the difficulty. To view the flooding of ink, take your magnifyer and look at previous jobs and see if there is a lot of excess squash-out on the shoulders of the letters. A good indicator whether the ink color was correct or if the ink is being pushed beyond to get the color desired. Screened matter is not very forgiving when it comes to pushing ink to get solids to look good. Also to view ghosting in its raw form, next time you have your rollers inked. Lay out a flat area with something like a large sheet of white paper (perhaps on the floor), anchor the sheet down with duct tape. Remove an inked, form roller from your press (gloves are good). Place the roller at one end of the sheet on the floor. Grasping the end of the roller by the cores and roll it across the sheet with a light pressure (all the way across). Notice at each complete revolution of the roller the color of the ink changes. I believe that these things are coming into play with the card design you are trying to print. Your mechanical adjustments, on the press may have been fine. and also- and i know this may sound annoying- but i ended up wetting and blotting my paper- and the ink took to the paper (lettra) like butter on bread. If it wasn’t so labor intensive I would do it every time! If you can’t figure out what’s wrong with your machine and you need to get the job done- then I would def. say give this a try. also thinking if your rollers have gone soft? Just my two- actually three- cents.